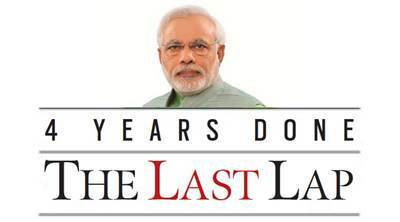 The Last Lap: The government has made a concerted effort to reach out to all 192 countries. As declared by External Affairs Minister Sushma Swaraj, almost every country had to be visited by a ministerial-level delegation during the term. Diplomacy has been one of the focus areas of the government led by Narendra Modi, even before he took charge as Prime Minister. From inviting SAARC leaders for his swearing-in ceremony to holding back-to-back informal summits with Chinese and Russian Presidents, the government’s diplomatic outreach has traveled a long way in the last four years. It has witnessed ups and downs in its relationships with various countries and has had to adapt to the changes in the relationship. The government has made a concerted effort to reach out to all 192 countries. As declared by External Affairs Minister Sushma Swaraj, almost every country had to be visited by a ministerial-level delegation during the term. At last count, ministers had been able to visit about 185 countries, leaving only a handful to be covered in the next 12 months. While the length and breadth of the outreach has been commendable, in some aspects the outreach has been done through highly publicised events — be it the India-Africa Forum summit, the International Solar Alliance in India, or the large diaspora events in almost every visit by the Prime Minister, starting from Madison Square Garden in New York. 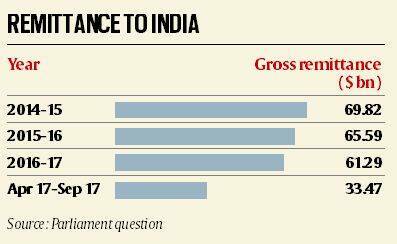 India has upgraded its aid commitments, especially in the neighbourhood, to almost $25-30 billion, in its bid to be seen as a reliable partner. New Delhi’s management of big-power relationships has been leader-driven since Modi has engaged with world leaders at bilateral and multi-lateral summits — G-20, UNGA, ASEAN-India and East Asia summits, BRICS and SCO summits. India has a robust relationship with the US, which under the Donald Trump administration has been quite tough on Pakistan. West Asia, too, got a fair share of attention, with all the regional rivals being engaged separately — Israel, Saudi Arabia, Iran, UAE, Qatar, Palestine. In the process, New Delhi has also been able to carefully de-hyphenate its ties with Tel Aviv and Ramallah. Engagement with Southeast Asia got a fillip in the last Republic Day, when 10 ASEAN leaders attended the showpiece event in India’s diplomatic calendar. And, in a more recent phenomenon, informal summits — with Chinese President Xi Jinping, Russian President Vladimir Putin, and an informal stopover meeting with German Chancellor Angela Merkel — seem to have emerged as a new template. After the big-bang decision to invite all SAARC leaders, India’s engagement with its neighbors is the key “work in progress” after four years of the Modi government. While talks with Pakistan witnessed highs and lows, the relationship reached a new low after Pathankot and Uri attacks and the Kulbhushan Jadhav case. Sporadic attempts have been made to keep the engagement alive, but India is now waiting for Pakistan’s elections to be completed this year and will largely depend on the next incumbent. China has been one of the most difficult relationships in the last four years, and last year’s Doklam crisis prompted India to attempt a “reset” in the relationship. The government’s diktat to not attend the Dalai Lama’s events, and subsequent informal summit in Wuhan was aimed at rapprochement with Beijing. Doklam also tested India’s friendship with Bhutan, but Thimphu stood strong with New Delhi. Its relationship with Nepal was marred by the blockade during the Madhesi agitation, and now with PM K P Oli in power, it will be a test of the relationship, although India has opened new areas of cooperation in connectivity, agriculture. Ties with Bangladesh have seen an upsurge, with India getting unprecedented security cooperation, and after the land boundary agreement, the Sheikh Hasina government has got full political and diplomatic support from New Delhi. Sri Lanka, which has been locked in a debt trap relationship with China, has been one of India’s closest neighbors in the region, and New Delhi is now working with like-minded countries to bail out the island-nation. India’s power play in the Indo-Pacific, especially the Quadrilateral meeting with the US, Japan and Australia, has been one of the works in progress. The SAARC summit in Islamabad, which was boycotted by India and others after the terrorist attacks in Uri and Pathankot, is not expected to be held anytime soon, given the political climate in both countries. Ties with Maldives have nose-dived, and it is the only country in the neighborhood to not have been visited by Prime Minister Modi. While India’s relationship with the US is on a strategic plane, the Trump administration’s approach on H1B visa issue has New Delhi worried. India’s relationship with the European Union has got much more political character, but the ambitious Free Trade Agreement has been stuck for almost a decade now. Defence deals with Russia, especially the S-400 air defence deal, have come under the scanner, with potential sanctions by the US. Similarly, the Chabahar port project is likely to be impacted after the US sanctions on Iran. India’s outreach to Latin America has been a blind spot for the administration, even as there have been some ministerial visits. From President Ram Nath Kovind’s address, March 2018: Due to the successful diplomatic efforts of my government, there has been a new-found respect for India. As a result, India has been able to secure representation in International Tribunal for the Law of the Sea, International Maritime Organization and Economic and Social Council. In a keenly contested election to the ICJ, India emerged victorious… India has always remained the first responder in times of crises… Today, all Indians in any corner of the world are confident that in case of a crisis, their government will provide them with safe passage to the country. Manish Tiwari, secy of Congress foreign affairs dept, spokesperson; distinguished senior fellow with Atlantic Council: “The NDA govt’s foreign policy has been an unmitigated disaster. The neighbourhood policy has been particularly catastrophic… The MEA has become missionaries of charity.